In retrospect, it seems the best adventures on our trip were the ones that were not planned by the cruise line. 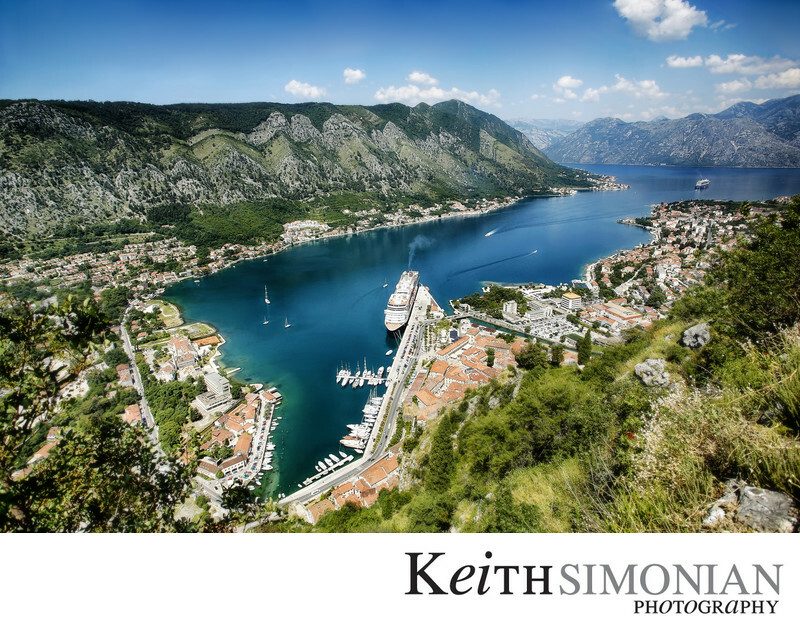 We arrived in Kotor, Montenegro with no planned excursion from the cruise line Holland America. After pulling into port we decided to climb the mountain and maybe go to the fort at the very top. If we did not make it to the top, we would stop at the small church that is one third of the way up the climb. Just like many of the ports we visited, Kotor had walls around the city to protect itself from folks who thought the Kotor port was really neat and they should take it as their own. We entered the city and headed for the hills so to speak. once you find one of the entrances to the stairs the climb up the hill, you pay the person sitting a the little table waiting to collect your money ( 5 euros each – it seems the price is higher when a cruise ship is in port ) and then you are on your way to the top. As we started a little late, the plan was make it to the church on the hill, and then see if the top was possible. While many people call it the church on the hill, the real name is Church of our Lady of Remedy. From down below in the city, the church looks regular sized, but when you arrive it’s much smaller than you thought. Here is the iconic view of the Bay of Kotor and the Our Lady of Remedy church seen as you climb toward St John ( San Giovanni ) castle at the top. 1/640; f/7.1; ISO 125; 17.0 mm.